Muru Mittigar is a not for profit organisation which seeks to advance Aboriginal culture, improve the economic and social capacity of Aboriginal people and empower meaningful participation to enhance their role as traditional Custodians of Country. 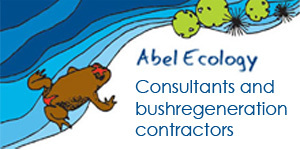 Our Land & Rivers team is seeking an experienced, motivated and professional bush regenerator to carry out environmental restoration works including bush regeneration, revegetation, seed collection, broad acre weed control, fire mitigation and other horticulture services across a range of sites on the Cumberland Plain & greater Sydney. Positions are for an immediate start, subject to pre-employment health check and drug and alcohol testing. Indigenous Australians are encouraged to apply, however the positions are open to all applicants.